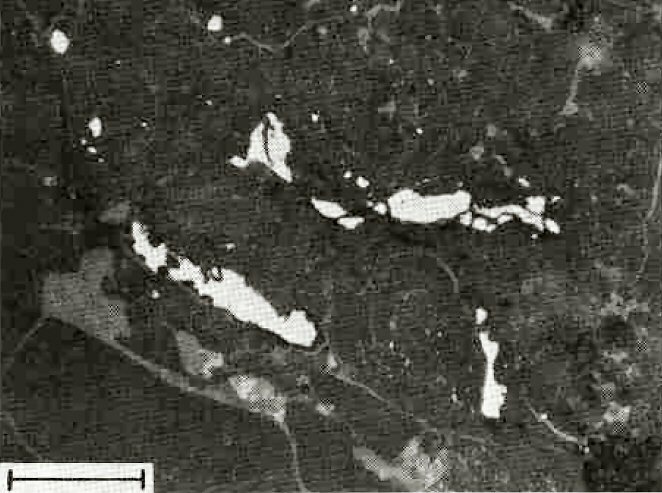 Comments: B&W image of suessite (white) as vein fillings and blebs. Silicates (olivine, pigeonite) are gray; carbonaceous matrix is black. Hydrous ferric oxide veins are (light gray). Location: North Haig olivine pigeonite achondrite (ureilite). (AmMin, v67:126).